The famous and the well renowned city for its constant, fabulous architecture and amazing designs is Dubai. The best example which we can discuss is the presence of only one seven star hotel being positioned in Dubai but nowhere in the entire world. This architectural aptitude made Dubai as the ideal hub for real estate growth. Dubai would be the best and safest gamble for investing a valuable foreign property. The interest and demand towards real estate business in Dubai made the establishment of many real estate companies in Dubai. The immediate thought you should get is what factor made the sudden hike in the real estate business in Dubai? Is that because of the affordability in Dubai property prices? If you think in that way that couldn’t be the apt one. The demand for investment of properties in Dubai is due to the law that is permitted for the freehold possession of the asset by an outsider and also it is up to their wish that they can sell, or give it for rent as per their desire at any time. Moreover, a three year renewable Visa for habituation is also provided for the asset owner. What made real estate in Dubai worthy? Many real estate agents in Dubai have come up as the real estate in Dubai provided them good profit returns from investments. 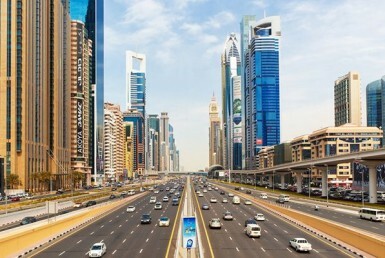 Gradually, Dubai has become the best and apt location for the overseas real estate. The buyers got an ample selection as it increased the number flats for sale in Dubai. Dubai has become the central spot for the global investors. Its location in the center of Middle East Geographically made it convenient for many of them as it would be the meeting spot for many trade collaborations among countries. The dream of having own land or property or villa in Dubai has converted to reality due to the development of UAE market. The properties in Dubai offer standard living and it can even be the perfect commercial complex. The villas in Dubai can be bought in cheaper rates compared to the other parts of the world. The tallest tower in the world named Burj Khalifa offers the richest property in the progress with neighboring buildings at reasonable rates. The notable thing to be considered for real estate business in Dubai is that there is no legal fee and stamp duty for it. It also allows financing options through authenticated finance institutions. Tax-free shopping and tax-free lifestyle can be experienced by every citizen of Dubai. Innumerable employment options are also available in Dubai where one can adopt to both working and the weather conditions very easily in Dubai. Another prime reason for real estate boom in Dubai is the investment by several corporate multinational companies in Dubai. This has acted as a dynamic drive for the immediate increase in the Dubai real estate. The simpler and easy forms of legal formalities, increased employment facility and growth in population created demand for buying properties in Dubai. At an outset, for a person who is willing to put an overseas investment, Dubai is the perfect spot. Land-vest Dubai is presently providing a comprehensive array of real estate investment property across the city.